Over the past few months, there have been a number of innovations when it comes to the world of cryptocurrency mining hardware. Bitmain has been at the helm of a majority of these innovations. The company has dominated the cryptocurrency mining markets for quite some time now - and currently occupies between 75 to 80% of the entire cryptocurrency mining hardware markets. 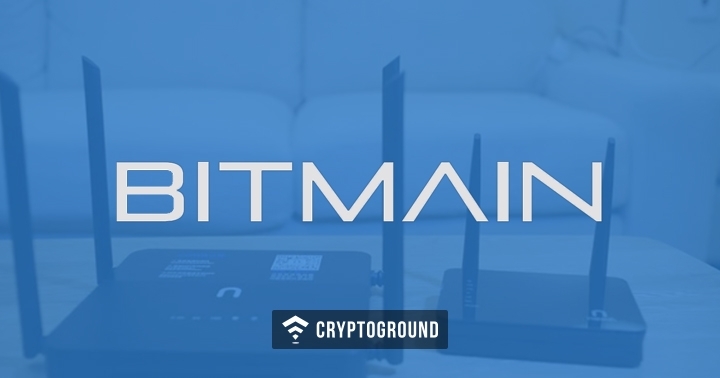 Bitmain’s latest innovation is the introduction of cryptocurrency mining routers. Two cryptocurrency mining routers have been launched by the company - one of them mines for DASH and the other mines for SIA (Siacoin). The two Bitmain routers have been named Antrouter R3-DASH and Antrouter R3-SIA. These will help function as regular cryptocurrency routers and will also mine cryptocurrency while doing their regular task. These products are not aimed at those miners who want to mine cryptocurrencies seriously and for profit. Instead, these are meant for those who love the idea of mining cryptocurrencies while they get the benefit of the main product - which is the internet router. It is a gimmick device which doesn’t really have any actual mining utility as the hashing power is too less. The R3-DASH router consumes 24.37W of power. Moreover, the router can also mine for other X11 coins, but the company does not claim any guarantees regarding any coin other than DASH. In a statement on the product page of this router, it is specified that they “cannot guarantee the performance or efficiency of the R3-DASH when used to mine X11 coins other than DASH.” Similarly, the other router, R3-SIA can mine for other blake (2b) coins, but no guarantees can be provided there either. Gimmick devices are becoming quite popular of late. Last week, Bitmain’s closest competitor, Canaan Creatives launched a television set that can mine for cryptocurrencies. Interestingly, both Canaan and Bitmain are planning to apply for an IPO on the Hong Kong Stock Exchange (HKEX). With their Q1 profits surging past $1 Billion, Bitmain is certain for an approval by the HKEX. Bitmain, however, has been coming up with some major and legitimate innovative devices in the past. The company was the first to come up with ASIC miners which could break through the algorithms of Ethereum, Monero and ZCash - currencies that were otherwise seen as ASIC-resistant. Bitmain has been steamrolling its way towards an IPO, raising capital from some of the biggest investment firms such as Tencent and Softbank. Users interested in buying these R3 routers from Bitmain can make a payment in Bitcoin, bitcoin cash, and litecoin. The routers will begin to ship ten days after purchase. Are You Ready to Play CryptoCup?